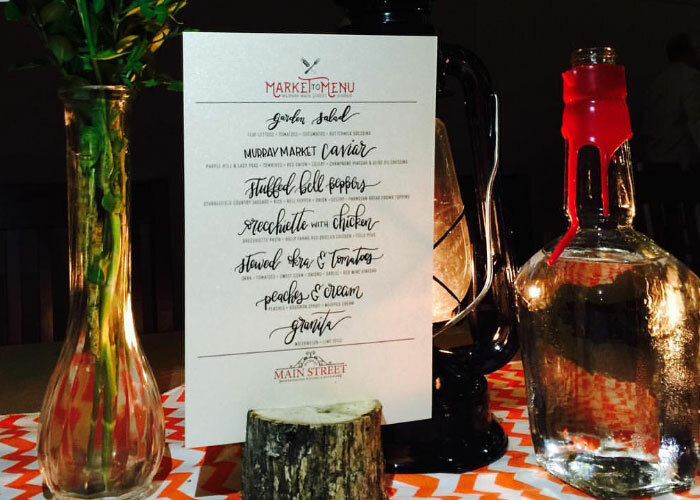 In 2016, we were thrilled to welcome 125 guests to our first Market To Menu dinner. We served market meatballs featuring bison from Tripp’s Bison Ranch and grass-fed beef and pork from Palmer Meats. 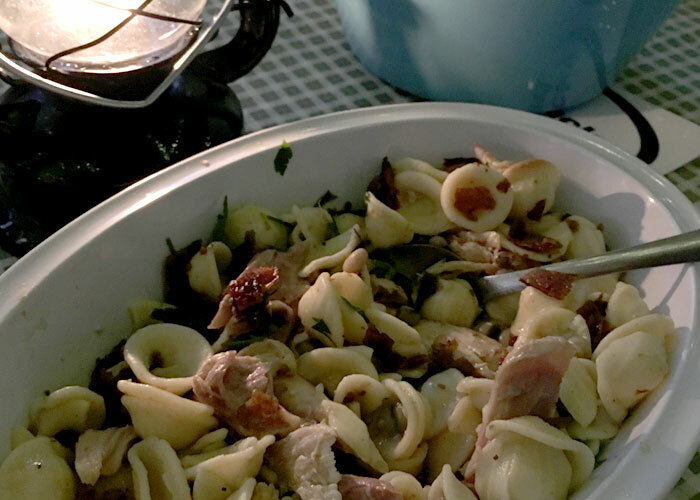 The highlight of the dinner was our main course, orecchiette with chicken, featuring Jolly Hog Farm red broiler chicken, field peas and home-made orecchiette pasta. To complete the meal, dessert consisted of Peaches & Cream dancing in bourbon syrup and topped with whipped cream. 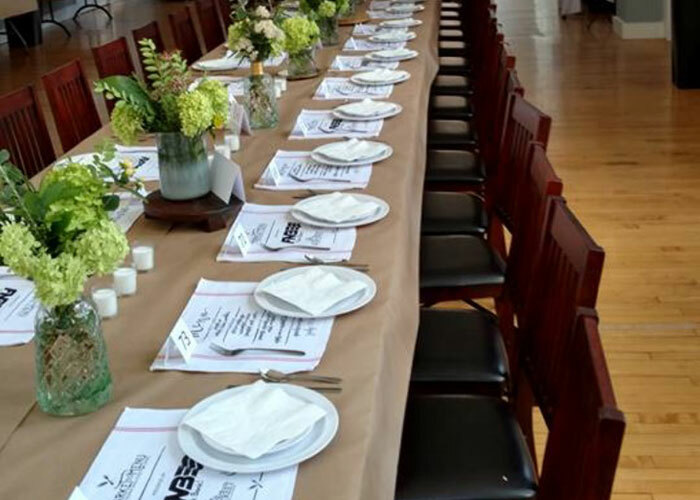 In 2017, we served 130 people a delicious dinner highlighting our vendors from the farmers market. Focusing more on vegetables from the market, our tomato pie was scrumptious. The summer squash and sweet corn mac and cheese was the ‘grown-ups mac and cheese’ and was served with Meats from the Market Bolognese. The meal was topped off with the same dessert in demand from the previous year….Bourbon soaked Peaches & Cream. The Market-to-Menu dinner is the culmination of the farmers market season and highlights the bounty of our surrounding agriculture. Using meat, vegetables and fruit from the market, a gourmet dinner is prepared by our local chef and is served to over one hundred people in a family-style relaxed setting. This year’s event will be held in October.